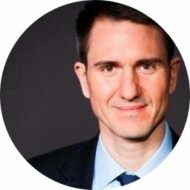 In his stories, Stewart often examines complex business and economics issues by focusing on facts and evidence and questioning conventional wisdom. His latest column, which ran Friday, is especially intriguing, as it concerns the current profitability and long-term prospects of The New York Times, his very employer. Following Jeff Bezos’s purchase of The Washington Post, Stewart asks: Would the Sulzbergers, the family that owns the Times, ever sell the paper? That The Times and its controlling family would be among the last survivors should come as no surprise, since it is the strongest of the great newspapers journalistically, and it is profitable. The Times has won 112 Pulitzer Prizes since 1918, including four this year, more than any other newspaper. A week ago, The Times reported quarterly operating earnings of $77.8 million, up 13 percent from a year earlier. By contrast, The Washington Post’s newspaper division had losses of $53.7 million last year, with no end in sight. With the Post owned by billionaire Jeff Bezos, “In stark financial terms, The Times is now a minnow in a sea of sharks” compared to companies like News Corporation, Facebook, Google, and others with huge market capitalizations, Stewart writes. Nearly everyone I spoke to this week praised The Times for what it has done with its resources. In contrast with Mr. Graham’s comment that he had no answers, The Times has articulated a strategy that addresses many of the pressing questions facing newspapers, and it seems to have been yielding results. Like The Post, The Times has tried to improve profitability by reducing costs, including the size of the newsroom. But that can go only so far before it begins to affect the quality of the news operation. 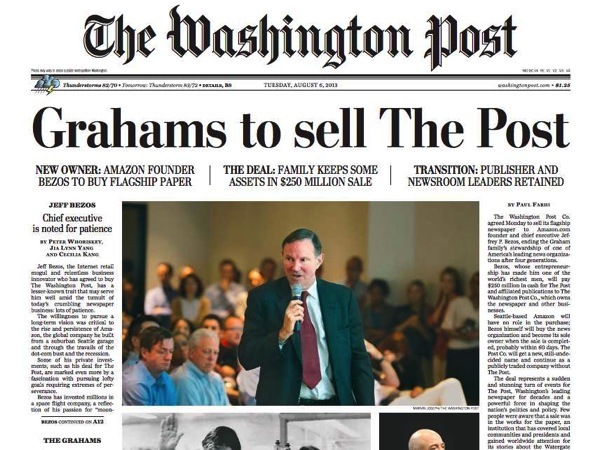 It may be even more difficult if, as expected, Mr. Bezos invests in The Post’s national news operation. “The likelihood is that The Post and The New York Times will be competing head-to-head in a way they haven’t since the days of Abe Rosenthal and Ben Bradlee,” both legendary editors of The Post and The Times, Mr. Jones said. The column is worth a read. And, finally, as I mentioned earlier, don’t miss this Bloomberg valuation story on Bezos’s purchase.